Read the full transcript of our talk from the Summer Showcase event in July. 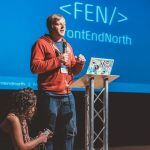 Last week saw Tech North bring their Summer Showcase events to Sheffield. 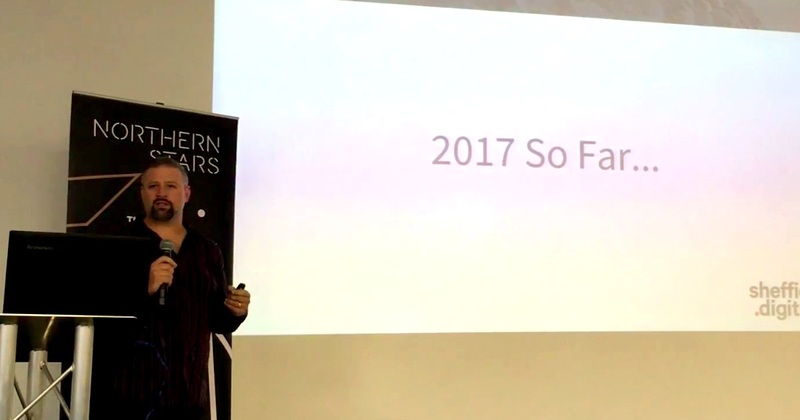 The aim was for the team at Tech North to share what they are up to and what they have planned for the future. But it was also a chance for people in Sheffield’s tech and digital sector to meet up and learn more about what’s happening in the city. Our own Chris Dymond kicked things off on behalf of Sheffield Digital. He covered a wide range of topics, from Sheffield’s many current success stories to how Sheffield Digital itself is moving on from its ‘startup phase’. Chris was followed by a great Q&A session with a four-strong panel featuring Sheffield companies, including Team Cooper, WANdisco and The Floow. David Walsh has put together a great write up of the event in the Sheffield Star. The piece has lots of ace things to say and it’s fantastic to see the sector covered in such positive light. I couldn’t make it to the event, but watching the (sadly, poor quality) video of Chris’ talk, I thought it would be good for everyone to have access to what he said. So I’ve embedded his slides, transcribed the entire talk and popped in a few headings to help you navigate its 4000 or so words. “I want to give you an update about where we are with Sheffield Digital. I want to have a look back at the last six months and talk about what’s coming in the pipeline. “So there’s the Tech Nation report produced by Tech City UK, and the Digital Snapshot Report, which was produced by the University of Sheffield’s Vanessa Toulmin and Creative Sheffield. The latter report is online now and you can go and read it. It shows a spotlight on our creative digital industries. That’s our marketing agencies, brand agencies, digital artists, games and entertainment companies, and all other activities that are going on. It’s a snapshot – a moment in time, if you like – for the city, in those industries. “Another thing that has happened this year was Plusnet and the Sheffield Star hosting a roundtable with the tech industry, just to talk about some of this stuff and understand it better. As a result, we’ve had a lot more articles in the local press about tech companies and what’s going on in the sector. “Sheffield Hallam University launched their degree apprenticeship scheme this year. This is a scheme whereby companies can take on an apprentice for three years, and while they work on apprenticeship wages, they also earn an honours degree at the same time. It combines degree academic learning with being an apprentice – and it’s had massive take up. “So we worked with Hallam earlier this year to try and get more local, smaller companies to take on apprentices. It’s funded through the apprenticeship levy. Small companies basically get funded, as well as the apprentice, who ends up not needing to be in debt or pay any fees to the university. They get a wage while they’re learning and it’s a great way for small companies – or large companies – to bring on staff, train them and get them qualifications at the same time. “It would be really great if more local companies took this up. Six months ago, we weren’t sure how many people were going to be on these courses, or whether there would be enough to even run. They are fully subscribed for September and they are going to be running additional courses starting in January, as result of the uptake. “The University of Sheffield are part of a bid for the Institute of Coding. It looks like, on paper, the strongest bid. We’ve got really high hopes about this. They are in a consortium with the Open University, FutureLearn and The Tech Partnership, as well as a few others. Hopefully, we will find out in the next month or two whether or not the Institute of Coding is going to be awarded here in Sheffield. If it does, it will be absolutely fantastic for the city. “Then there’s loads of news around new incubators and hubs and workspaces. We’ve been working with Hallam on investigating the potential of turning the NXP building on Furnival Street into a new digital hub. There is also work on converting the old co-op building. I spoke to the Kollider guys two days ago and they still think that an announcement is imminent. They have signed a number of deals. They have still got a few deals to sign off, but they are looking at, basically, filling a large portion of their £80,000 fee with technology incubators and accelerators. “The original MakerHub is now essentially an entrepreneurship development organisation. They are looking specifically at scale-ups – startups who are through that first stage of investment. They are looking to take those sorts of companies and support them to kick on to the next level, build ambition and build business plans to allow them to grow. “And there’s a handful of other workspace projects that are going on at the moment, to say nothing of all of the other work spaces that are coming on stream. The Acero building, which is the next phase of the digital campus, opened two weeks ago, and as far as I’m aware, they’ve got an anchor tenant lined up who is going to take at least one floor. “Then the Steel City House – that’s on stream now. Plus the spare capacity in St Paul’s Place is being filled with three companies moving in there. There’s the NRQ and HSBC’s new headquarters that are being built. I think we had 15 cranes on the national crane count a couple of weeks ago, which is the best I think Sheffield had for about 10 years! “We’ve also had Jaywing relocate from outside the city to a spanking new office just down the road here. They converted a beautiful old works building. Then we have got the Google Digital Garage that has moved in. It’s the first time Google have had a presence on the UK high street. “Zoo Digital have moved offices and expanded. Sumo have released their first original game, which has gone straight to the top of the charts. It was the first number one on the Nintendo Switch charts. Tutora have expanded and completed their Crowdcube a fundraiser. The Floow are expanding – I think 60 new positions by Christmas. And WANdisco have just won $30 million worth of business. “So, with all this activity going on, there is a lot of positivity and a lot of things that haven’t really happened before. For us at Sheffield Digital, it’s really time to take stock over the summer. As some of you know – some of you were here for our second anniversary party six weeks ago – we are moving out of our startup phase. We are growing up. “What that means is we are transitioning from being funded by our founding members into being funded principally by membership sign-ups. We’ve taken on a Community Manager, Iain Broome. He’s going to be running the day-to-day engagement and publishing – all of the things that we do to promote and connect the sector. “We have seven founding members and I’m going to mention them because they are the people who got us off the ground in the first place. Lightworks Design, Sumo Digital, Sky Gaming and Betting, the University of Sheffield, Sheffield Hallam University, Tech North, and Sheffield Technology Parks. “We have three associate sponsors in Affecto, Shorts and now Northcoders, who joined us last week. Finally, we have two regional partners. One is Barnsley DMC and the other we announced a couple of weeks ago, the AMRC. We are now working with the AMRC to create links between the digital sector and advanced manufacturing. “In terms of our reach, we now have 453 newsletter subscribers. June was the biggest month for the website with over 1,700 unique visitors. We have 672 people on our community Slack, where there are daily conversations about all sorts of topics. People meet and ask questions and organise things – there is so much organising going on in our Slack. We have over 2000 Twitter followers. “Just to mention again the work we are doing with the AMRC. So that’s the Factory 2050 building, which is now full of projects. Most of those projects involve machine vision or projection mapping. There is loads of opportunity for tech companies and people in the tech industry to work with advanced manufacturing to create more value for our businesses. “We are developing, basically, a connected pipeline between tech talent in small companies through Kollider and the Advanced Manufacturing Innovation District out to the AMRC. There will be a series of events that we are running with them to get people to understand what the challenges of the industry are and how digital can benefit them. “So, how do we continue all of this work that we have done so far? Our mission is to promote, connect and represent the tech and creative digital industries in Sheffield. As far as promoting is concerned, bringing in a community manager and giving them the tools to do this stuff is the first step in taking it to the next level. We are going to be upping engagement. “We also have a channel in Slack called #-goodnews. People mention even small stuff, like ‘I’ve just completed a course,’ or ‘I’ve just put a project live that I’ve been working on for six months.’ And if anyone would like to pipeline stories through, we can share them with the rest of the community. But also with the Star and the city to highlight the fact that this stuff is happening, and people are working on some really major things that have kind of gone under the radar. A lot of these companies work outside of Sheffield and do work that’s internationally significant, but their stories never filter back. So that’s one channel we’ve got for that. “In terms of connecting, we are going to carry on using Slack and social media. The uptake on Slack has gone up again over the last month or so. Lots of people are joining, talking and creating new channels. They create little communities to organise things or get things off the ground. “We will continue to do our regular Friday morning networking event at Tamper coffee, Geek Brekky. I think I missed three weeks last year, so we are there pretty much every Friday morning (apart from this August as we’re away for most of the month). Anyone can drop in and talk to us. It’s been really good to engage with institutional stakeholders in the city – like from the council and Sheffield City Region – who just come and meet us there. “We ran the first Meta Meetup about two weeks ago at the Google Digital Garage. It’s the first meetup for meetup organisers, a meta-meetup, and we had over 40 event organisers turn up to talk about their events, including what they need, whether that’s sponsorship, venues, promotion or speakers. We crowdsourced a database of all of the regular, irregular and annual tech-related events in Sheffield. We’ve got about 70 identified – there are over 40 active ones. Lots of them are monthly or bi-monthly, so there is a community of people who run events now. And they are helping each other out. “The Platform is an event that runs here at The Workstation most months. We sometimes take over curation every so often. We’ve done two this year and we’ll probably do some more before the end of the year. They are opportunities for us to get voices from the community on stage and out talking about their work, their projects and what they are doing. “Finally, there is the representing. This is the thing that maybe people are least aware of and does not show as obviously as how we promote and connect. But it’s actually what we spend most of our time doing – emailing and answering emails, going to meetings and talking to people about how to develop the things that are important to the digital sector; how to develop the talent pipeline to the universities; how to develop smart city programmes with the council and other actors. “We talk to Sheffield City Region about how to develop the economy better. And Tech North, the Northern Powerhouse Partnership, firms big and small, we are constantly talking and going to meetings and making sure that all the people we represent are in those meetings. We can influence in some ways, but also feed back to the community and ask questions about issues of policy. “Finally, I want to talk about what we really do. “We open spaces for debate, ideas, help, partnerships, deals, influence, knowledge and development for those in Sheffield’s digital creative and tech industries, and those who wish to engage with them. “That is fundamentally what we do. We have a mission to connect, promote and represent, but fundamentally, we open as many of these spaces as we possibly can. Some of those places are physical spaces and events like this. Some are are online spaces and places where people can say, ‘I need this,’ or ‘I’ve got an idea about this,’ or ‘Can anyone help me?’ Whether they are individuals, small companies who want to start out, or major international organisations, or local and regional institutions. “We leverage and amplify what others are doing whenever we can. “If there’s someone doing stuff that’s good or if there’s someone that did something that was really good in the past and isn’t doing it anymore, and it’s needed, we will try to figure out a way to resurrect that thing and bring it back. Or try to amplify what’s already happening. “We try to fill the gaps where we see them or where there is a real need. “We do not receive any public sector funding. That’s quite intentional. We didn’t want to start up with a load of money from the public sector – or even a small amount of money – and run the risk of it disappearing and us having to close down. We wanted it to be independent. “Sheffield Digital is a not-for-profit organisation. We are a company limited by guarantee. We have no shareholders. We are doing this for the benefit of the community and we are investing our time to make sure it happens. As I say, all of the membership that we do get now goes towards paying for a Community Manager to keep the message going while we concentrate on the strategic partnerships that we need to really kick on as an organisation, and as an ecosystem. “So, it’s your memberships – individual and company – that allow us to do the things that we do. It’s £5 per month for individuals and £15–£200 per month for companies. We really want to keep doing this beyond the next four months, which is how long we’ve got Iain signed up to.